Selling a house for cash in Littleton has grown into something quite easy thanks to Denver Property Flip. As a real estate investment company, we buy houses for cash Littleton and make the money available in your bank account after just 5 days. One thing that makes Denver Property Flip such an ideal choice when it comes to selling houses for cash is the fact that we buy these houses in their current state, be it a totally wrecked house or an ugly house. If you are selling a house that is either wrecked or ugly, getting a traditional buyer is not such an easy task. In fact, selling such a house through a real estate agent or Realtor may just be another waste of time because you won’t easily come across an individual looking into buying such a house. One reason individuals stay off such houses is that of the time and money involved in getting the said houses back into the required shape. It’s easy to come across a house that looks promising, but due to the overwhelming job involved, people shy off. Well, at Denver Property Flip, we don’t turn down any chance to help you by buying such a home and paying the cash as fast as possible. Since some of these houses are usually beyond repair, especially those that have been inherited from old folks who probably bought it decades ago, the only way to revive them is to completely demolish them and start from scratch. This is not something an individual buyer would be willing to do, instead, they want a house that is ready to be occupied. When we buy ugly houses for cash Littleton, our team will work on the architecturally unappealing house to give it a new look. As noted, some houses have flaws that can be repaired, but others are usually beyond repair and thus they need more money and time in order to use them – more than what it would cost to build a new home from scratch. 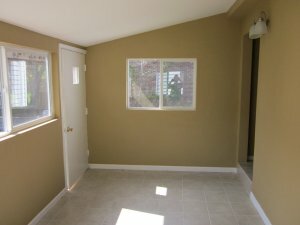 We don’t really care whether the house is ugly or wrecked, we will make you an all-cash offer depending on how bad the house looks and what it needs to put it back in shape. In cases of mere cosmetic fixes such as painting, the house needs no shortcuts, instead, buying the right equipment and correct paint will ensure that it gets back into the best shape possible. As you can see, this is extra work and even though it pays in the end, not so many traditional buyers would be willing to undertake this task – which is why we are here to buy the houses for cash and save you all the trouble of finding someone to buy it or maybe working on the repairs by yourself. As noted, there are those issues that can be fixed easily and are not so costly, however, there are those that could set you back a fortune. Problems with a house’s general structure, the foundation, roofing, and siding can be costly for the ordinary house seller and buyer, but at Denver Property Flip, we are no ordinary buyer. Rather, we are an investment company that not only buys houses for cash but also offers services as a licensed contractor and certified real estate agency. If you have the money to replace the decks or even the driveway, you are welcome to do so. However, don’t do it hoping that you will recoup the money you’ve invested in the upgrades in full because you will definitely be disappointed. Also, make sure that you have the right details with respect to what is best for your house. With the help of a professional, you can always know if it’s feasible to repair a house before selling it or simply sell it as is. The best place to start hunting for such details is, of course, Denver Property Flip, because we are a real estate agency with years of experience in this field. Even though we will make you an all-cash offer, don’t expect to get the house’s market value in full. Depending on the state of the house, we buy houses for cash Littleton and pay anywhere between 70% and 95% of the house’s market value. Call us now on (720) 370-9595.